The Silvertips battle the Portland Winterhawks in the second of ten meetings for the regular season … the Silvertips are 75-66-14 lifetime against Portland and 41-31-6 all-time in downtown Everett … the two teams met last season in the second round of the WHL Playoffs and the Silvertips defeated Portland, 4-1 to advance to the Conference Championship series … the Silvertips are playing on the back end of two games in two nights and the second game of a four-game homestand … the Tips have won three games in a row, which began in a win on Sept. 23 vs. Portland. 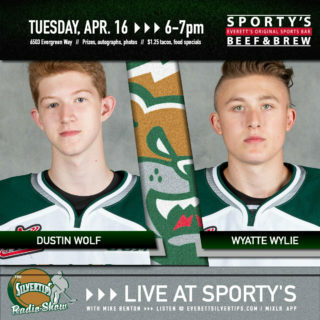 EVT 2 – SEA 1 (OT) (10-5-18): Connor Dewar’s overtime goal 17 seconds into the extra period and a two-point night from Bryce Kindopp helped lift the Everett Silvertips past the Seattle Thunderbirds, 2-1 in overtime in front of 6,574 at A.O.T.W. Arena in downtown Everett on Friday in U.S. Division action. The Silvertips offensive presence was clear all night, as the team in pink tallied 41 shots in regulation, compared to the Thunderbirds 17. Bryce Kindopp broke a scoreless tie in the third period on a power play goal, while Dustin Wolf turned in 16 saves. 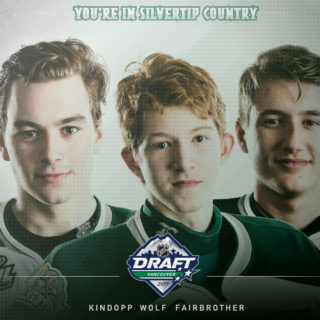 ON THE RADAR: A pair of Silvertips, goaltender Dustin Wolf and defenseman Gianni Fairbrother, earned the position on NHL Central Scouting’s “Players to Watch” list for the upcoming NHL Entry Draft, next June in Vancouver … both players earned a “C” grade which projects a possible 4th, 5th or 6th round selection. 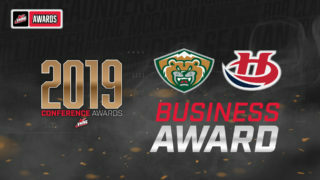 SPECIAL DELIVERY: The Silvertips scored a power play goal in Friday night’s win over Seattle … they are tied for 3rd in penalty killing (85.7) … of the three power play goals allowed, two have come on two-man advantages. 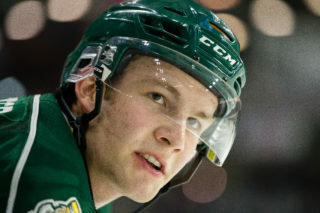 LEADING THE WAY: Connor Dewar had a goal in his fourth straight game last night … he leads the Silvertips with four goals this season … Dewar was named captain prior to the 2018-19 season. 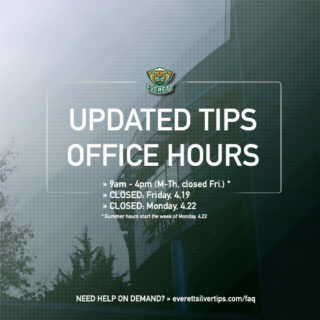 FULL DENIAL: The Tips allowed just one goal on Friday in a 2-1 overtime victory, marking the third straight game they have allowed two goals or less in a game. HUNGRY LIKE THE WOLF: Dustin Wolf, who had 4 shutouts in his first 16 games last season as a rookie, had two shutouts in five preseason games with a .927 save percentage … he has appeared in every minute as a Silvertip through three games and is 7th (minimum 100 minutes) with a .932 save percentage.